SCE Net Metering may seem simple enough: just the net of what you draw from the grid less what you send back to the grid. But when combined with Southern California Edison's Time of Use Schedules, a multiplicity of rates, solar production variables, possible electric cars in the future, and a number of related options, it gets complicated fast. It's hard to find anything anywhere that clearly and accurately explains how Net Energy Metering (NEM, or just Net Metering) works for SCE customers. SCE doesn't explain these combinations for solar owners very well. Neither do any solar websites. This article is meant to fill these gaps, clarifying what SCE leaves unclear, adding information SCE leaves out, and focusing on how all this affects solar-shopping decisions. NEM was complicated enough up to July 1, 2017. It was called NEM-1 or NEM 1.0, because it was the first version of the NEM tariff, and applies to all SCE customers with solar that turned on before July 1, 2017. They get to stay on NEM-1 for 20 years after turn on. But for customers with systems that turn on July 1, 2017 or later, the NEM-2 or NEM 2.0 "Successor Tariff" applies, and it is a bit less desirable and even more complicated than NEM-1. This article starts by explaining NEM in general. Then it shows how NEM interacts with the rate schedule you choose. It explains "solar leverage," which is an artifact of NEM, and how this affects the size system you need for a zero SCE bill. These sections all apply to NEM-1 and NEM-2. The last section of the article introduces NEM-2, just for people looking to get PV systems now (or having just acquired one that turned on since July 1, 2017). It explains the differences between NEM-1 and NEM-2 and shows you what charges to expect under NEM-2. You can see SCE's introductory brochure about Net Metering on the SCE website at Understanding Your Energy Bill for Net Energy Metering Customers. It bizarrely assumes you're on the standard TOU-D rate schedule, rather than a Time of Use schedule. This is not desirable for almost any solar owner, and isn't even an option for systems that turn on after July 1, 2017. It also makes no mention of NEM-1 or NEM-2. A newer version of this page is at Net Energy Metering: Understanding Your Bill. This page lets you see sample bills for NEM-1 or NEM-2 by clicking one of those options on the page. But they're a long way from clear or sufficient to understand how you will be billed. On this same page is a box for Frequently Asked Questions. If you click on "Learn More," you will get a pdf that is also quite unhelpful. The California Public Utilities Commission (CPUC) told me recentely that they are working with SCE to improve these documents and SCE's bill formats, but there is no time frame given on when this will happen. The legal, final word about SCE Net Metering is the schedule approved by the California Public Utilities Commission (CPUC) on the SCE website. For NEM-1, it is Schedule NEM: SCE Net Energy Metering. For NEM-2, it is Schedule NEM-ST: SCE Net Energy Metering Successor Tariff. I have advocated before the California Public Utilities Commission (CPUC) on behalf of present and future owners of solar PV (photo-voltaic) systems. This work has included many discussions with most of the main solar advocacy groups and SCE, leading to in-depth understanding of rates, rate-making, and Net Energy Metering, plus a lowering of costs for solar owners. Southern California Edison has tried many times to push the CPUC to make rate and billing changes that would have adverse effects on solar owners. Some example articles about this include ones from Desert Sun, L. A. Times, UtilityDive.com, and PV-Magazine. ​Your PV system connects to SCE's electricity line, which is connected to the electric panel on your house. The electricity your PV system produces goes first to supply your needs at that time, with any surplus going back to the SCE grid for credit to you. If your system isn't producing as much electricity as you're using at a particular time, SCE supplies the extra and charges you only for that extra amount. When the PV system isn't producing anything (as at night), you draw all the electricity you use from SCE's electric grid, just as you do now, and SCE charges you for what you use. SCE will, if it hasn't already, install a "smart meter" at your house. This meter measures, records, and reports electricity drawn from and sent back to the grid nearly continuously. It allows you to see the net electricity drawn or sent back by hour on the SCE website (in Your Account, called Green Button Data). It shows you your bill to date and projected next bill (in Your Account under Usage). It also allows you to participate in Save Power Day Incentives (called PTR or Peak Time Rebate on your bill) and other energy savings programs. It is unlikely to save significant money for solar owners, because it overlaps with credits under SCE NEM, but it doesn't hurt either. Details are on the SCE website at Save Power Days. ​There is no cost to install the meter and no monthly charge for it. Southern California Edison Net Metering refers to "netting" the amounts of electricity you draw from SCE's grid against the amounts your solar-PV system sends back to the grid. It is set up for you automatically when your PV system is turned on. It's helpful to distinguish this netting from a different kind of netting for solar. For example, if during a particular hour your PV system produces ("generates") 5 kWh of energy, but you use 2 of those kWh for your house and send the other 3 kWh back to the grid, SCE credits you for those 3 kWh you sent them. This is not the "netting." SCE doesn't know anything about how much of your PV system's production you used yourself at that time. It only knows that during that hour it received 3 kWh from you. SCE's NEM "netting" is when, at the end of your 12-month cycle, SCE "nets" your "Energy Charges" in dollars for usage against the credits in dollars for your contributions to the grid. If you end up with a net of zero, you pay nothing for the "Energy Charges" portion of your SCE bills, because it is fully offset by the electricity you sent back. This is the goal to shoot for. Producing more than that isn't profitable. Producing less than that squanders savings. But this is a very over-simplified example for solar owners. To understand how you will be charged, and what SCE options you should select, please see Current & Future SCE Rates. With a PV system, Net Metering interacts with your TOU schedule in complicated ways. It is hard to find any SCE materials that explain this well. Therefore, here it is. When you use any TOU schedule with Net Metering, your charges and credits are not merely kWh totaled per billing period. They are calculated every hour, using the different TOU rates that apply to that hour. Then these hourly charges and credits are "netted" over a 12-month period. At the end of that time, you "settle up" with SCE (see below for how). Note that the amounts you sent and drew are after any of your PV system's production that you used yourself. They are what the SCE meter recorded as going into and out of the SCE grid. That's why I say "drew" and "sent" rather than "generated" or "used" (SCE's terms). ​Once more, to be certain this is clear, the SCE meter, therefore SCE, knows absolutely nothing about your PV system's production and absolutely nothing about electricity you draw from it for your own use. That is invisible to the meter. You can monitor your system's production through the PV system's own monitoring tools and website, but nothing shows you your total consumption. For each hour, it is the sum of what the PV system produced plus the amount shown by SCE as drawn or sent. ​For example if the system produced 4 kWh that hour and SCE's Green Button Data shows you drew another 1 kWh from SCE that hour, you must have consumed a total of 5 kWh that hour. If it shows you sent SCE 1 kWh during that hour, you must have consumed only 3 of the 4 kWh produced. Just as the rule for succeeding in investing is "buy low, sell high," so in solar it's "draw low, send high." This means you should draw electricity when rates are low (off-peak and super-off-peak), and send electricity back to the grid when rates are high (on-peak). To do that, you try to time your usage so that it is minimal during on-peak times, with as much as possible shifted to super-off-peak times. Your PV system is likely to be producing electricity from about 7:00 am to about 6:00 pm on average during the year (longer in summer, shorter in winter). If you're not home during the day, your house won't use much of that electricity, but will send most of it back to the grid for credit. When you get home and start cooking around 6:00pm, it's still on-peak time, so you will probably have to draw electricity from the grid during 6:00 pm to 8:00 pm - the end of the on-peak time period. But this should usually be more than offset by the electricity you sent back in the previous 2 hours, 4:00 pm to 6:00 pm. After 8:00 pm, rates drop to off-peak for 2 hours, then super-off-peak overnight until 8:00 am. Your system won't be producing any energy during this time, of course, since it's dark. But you won't be using a great deal either (unless you're charging an electric car - see below), since you'll be asleep much of that time, and the rates are much lower. The result is that the electricity your system sends back to the grid gets credited at off-peak and on-peak rates, but you won't use much electricity except for 6:00 pm to 8:00 pm (on-peak) and 8:00 pm to 10:00 pm (off-peak). That gives you what could be called "solar leverage." It means you don't have to send as many kWh back to the grid as you draw from it in order to break even over the year. If someone is home during the day, the A/C will be running more of the time, plus other household usage. This lowers your solar leverage, but rarely wipes it out. This is the interaction between Net Metering and Time of Use Schedules that SCE doesn't explain well. If you have or get one or more electric cars, you can program them to start charging when super-off-peak rates start, at 10:00 pm. That way, you will pay for the charging at the lowest of the three rates. The Solar Panel Cost & Savings Calculator shows you how to modify your inputs to allow for one or more electric cars in the future. Although SCE's Rate Schedule TOU-D-EV-1 may seem perfect for owners of electric cars, it isn't nearly as advantageous as TOU-D-A if you also have a solar system. The way all these factors affect shopping for solar is that they have a major effect on what size system to get. You can see that choosing the right size PV system that will exactly zero out your SCE bills each year isn't easy. It's not as simple as picking a system whose predicted annual energy production equals your predicted annual energy usage. That would usually be way too big. Because of solar leveraging, typical homeowners can get a PV system that produces only 76% to 86% as much electricity as they use per year, and still zero out their SCE bill. 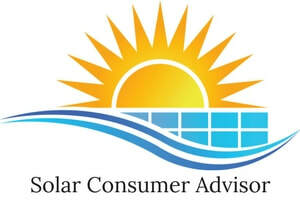 Solar Consumer Advisor has built a computer model just for SCE residential customers that calculates the percentage of your annual usage your system needs to produce for a zero bill. It takes every significant factor into account: SCE's latest TOU schedules and rates, NEM-2, array tilt and direction, and average weather, insolation, and irradiance for this area. It assumes a best-quality system (more about this later). The model's internal process compares various sizes of PV system against various amounts of annual electricity usage and finds the smallest system that will completely wipe out the SCE bill. As far as I can discover, nothing else is currently available to consumers that calculates the minimum system size to zero out your SCE bill. You can find the model and instructions on how to use it on Is 5kW the Right Size System for You? ​When your PV system is first turned on, SCE establishes what it calls a "Relevant Period" for the annual settling up of your charges and credits. The first Relevant Period is usually set from the day the system is turned on until the end of the 13th bill you receive after that date. That is, the first bill will only be partially solar, so they go 12 bills after that. Thereafter, the Relevant Period is every 12 bills. You can (one time only) change this Relevant Period whenever you like. You just notify SCE, and your present Relevant Period will end whenever you choose, and thereafter go every 12 months from that date. The only limitation is that no Relevant period (except the first one, which is for between 12 and 13 months) can exceed 12 months in length. Each month, your SCE bill will show your cumulative charge or credit balance for the Relevant Period so far, both in dollars and in kWh. At the end of the Relevant Period, if you have a charge balance in dollars, you must pay that to SCE. But if you have a credit balance both in dollars and in kWh, you can elect either to carry the credit dollar amount forward to the following 12-month period or to get a check from SCE for a small portion of the credit. If your balance is zero, or close to it, you get the brass ring. This is the goal of correct system sizing. The amount of the credit SCE will pay is not the actual $ credit accumulated. That credit is based on SCE's actual rates throughout the year. Instead, the credit will be based on the number of kWh you sent back to SCE over the number of kWh you drew from it. The check for the credit will be that surplus in kWh times whatever the "Net Surplus Compensation Rate" (NSCR) happens to be for that month. These rates are published monthly on the SCE website at Net Surplus Compensation Rate (NSCR). The latest figure is 2.611 cents per kWh - much less than the rate you pay SCE even during super-off-peak hours. The rates have varied from a 2.611-cent low (September 2016) to a high of 4.918 cents in April 2014, but go up and down every month. For example, if you had sent an excess 1,000 kWh to SCE during the year (meaning you got a system that was way too big), you'd be entitled to a check for $26.11. Big deal. The final point is a bit tricky. You can have a $ credit but not a kWh credit at the end of your Relevant Period, because of the solar leverage described above. In that case, you are entitled to no credit at all, except a refund of the California Climate Credit checks for that Relevant Period. You must let SCE know what to do with any end-of-year credit: roll it over to next year or pay you now. Remember that SCE never rolls over your surplus kWh: only your credit amount in $. You make this election by filling out SCE's form at NSCR Compensation Selection Form. For most residential solar customers, it's best to elect the "Check" choice under Net Surplus Compensation option. The Net Metering 1 program closed to new solar owners on July 1, 2017. SCE customers whose solar systems go online on or after July 1, 2017 will be enrolled in NEM-2, which is a somewhat less desirable version of NEM. ​However, all customers whose solar systems were already online as of July 1, 2017 will be "grandfathered in," meaning they will be allowed to stay on the current NEM-1 program for 20 years from the date of their installation, unless they expand their original system more than 1kW or 10%. There are 3 disadvantages to solar owners in NEM-2 as compared to NEM-1. Two are easy to understand; one is complicated. 1. New solar owners (systems turned on after June 30, 2017) must pay SCE a new one-time $75 interconnection fee. There was no charge for this under NEM-1. 2. Time of Use (TOU) rate schedules are mandatory under NEM-2. They were only highly desirable under NEM-1. 3. The complicated issue: Non-Bypassable Charges (NBCs). SCE will now separate your hourly rate into 2 components: Energy Charge and Non-Bypassable Charge. The Non-Bypassable Charge is charged monthly and cannot be offset by your energy credits (from sending surplus electricity to the grid). What Are Non-Bypassable Charges (NBCs)? These can, of course, change over time. The easiest way to think about NBCs is that all the TOU rates (peak, off-peak, super-off-peak) get reduced by 2.106¢, both for your charges and your credits. Therefore, your "Energy Charges" (or credits) are all calculated at these slightly lower rates. So your "Energy Charges" on the last page of your bill are a little less for the energy you draw from the grid, and get a little less credit for the surplus energy you send back to the grid. How Much Will Non-Bypassable Charges (NBCs) Cost? If your average SCE bill before you got solar was about $1,200 per year, that means your annual electricity usage was about 6,700 kWh per year. At this level of usage, your new NBCs would total about $84 per year. For each $100 per month increase in your pre-solar average bill (i.e., $1,200 per year), your NBCs would go up by about $61 per year. So, for example, if your average pre-solar SCE bill was $400 per month (i.e., $4,800 per year), your NBCs would be the baseline $84 + 3 x $61 = $267 per year. The Solar Panel Cost & Savings Calculator takes these new NEM-2 NBCs fully into account in its calculations. And the Solar Buying Guide - Step 2: What Solar Equipment to Get has a sizing table to help you see what size system will fully zero out your Energy Charges, without overdoing it or underdoing it. This table also fully accounts for these new NEM-2 rates and NBCs. The other 2 items in this Non-Energy Charge section are your basic charge of 3.1¢ per day and any minimum delivery charge you may incur by having a credit balance in your Energy Charges for that month. These minimum delivery charges are capped at about $10 per month, and should average about $65 per year for a solar owner with the right size system. They are just about exactly offset by the $62 in annual California Climate Credits. So, to simplify things, you can just ignore these other 2 items in the Non-Energy Charge section when estimating your annual bills.